A number of readers have been asking me about housing loans lately, so I thought I’d touch on this topic today. I’m generally more inclined towards bank loans at this point in time (and have been since I highlighted it here in 2016), given how they’re mostly cheaper given the low interest rate environment we’re in right now. In the meantime, this article is for those of you who have been asking me which bank loans to look at in 2017. There are several banks in Singapore offering home loans at similar, yet varying interest rates. Fixed rate packages and floating rate packages are the two most popular rate offerings prevalent in the market. As the names suggest, a fixed rate package involves fixed repayments on a monthly basis for a specific period of the loan, while a floating rate package is subject to slight variations in interest rate throughout the loan tenure due to market and economic fluctuations. 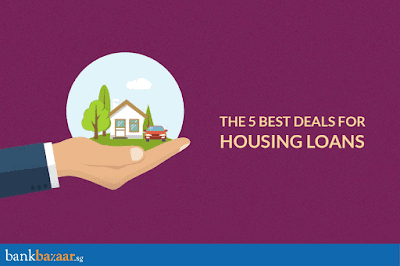 If you’re looking for a home loan in Singapore, arriving at the best deal can be quite an effort, especially when the competition is stiff. Banks use various means, including periodic promotions on interest rates, to lure borrowers and augment their market share. With the steep increase in the number of borrowers, banks are frequently adjusting their offerings to lure more customers. This generally means good news for us. Let’s check out what different banks have to offer and figure out the best housing loan deals for buying private property in Singapore. One of the most attractive features of the DBS Home Loan is that you can benefit from an interest rate ceiling on the floating rate package, for a 2-year period. The floating rate package is pegged to the DBS 9-month FD interest rate (FHR9). For the first two years of the tenure, your floating rate of interest would be below 1.72% p.a. Under the promotional floating rate package, you can expect an interest rate of FHR9+1.07%. FHR9 currently stands at 0.25%. The floating rate currently stands at FHR9+1.55% p.a. The fixed interest rate package comes with an interest rate of 1.68% p.a. for the first 3 years. Besides, you can choose a tenure of your choice and also get preferential rates if you have an existing relationship with the bank. HSBC offers a SIBOR-pegged rate package and a 2-year fixed interest package. SIBOR-pegged loan rates depend either on 1-month SIBOR or 3-month SIBOR – which are currently at 1% and 1.124% respectively. These rates are updated by the ABSevery day, so you can check them for yourselves. For buying a new property – whether under construction or completed – HSBC Home Loan comes with SIBOR packages of SIBOR + 1% p.a. for personal banking customers. Advance and Premier Banking customers can have it at lower rates, though. HSBC doesn’t disclose its fixed rate package on its website, but I reckon it is likely to be around 2% to 2.2% p.a. going by the current trend. Up to 30 September 2017, the bank is running a home loan promotion where they’re offering SIBOR-pegged package for loans of S$800,000 or more at SIBOR + 0.52% p.a. (1.52% currently), and the 2-year fixed rate package at 1.52% for the first two years. Though essentially this is the same rate for now, SIBOR keeps fluctuating, albeit slightly, so future rates are likely to keep varying. The rate for the SIBOR-pegged package from 3rd year onwards is SIBOR + 0.75%, and for fixed rate package is SIBOR + 0.75% for the third year and SIBOR + 1% from the 4th year onwards. 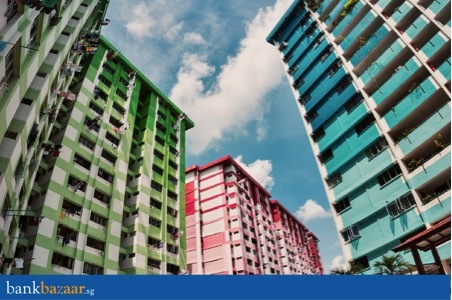 Also read: Should you pay off your HDB loan in advance if you can? OCBC has four different interest rate packages to offer for buying a house. Two of the package offerings are fixed rate offerings, one is variable, and the other is dependent on SIBOR. In the fixed-deposit linked rate offering, the interest is pegged at 1.4% for the first year, and 1.5% subsequent to that for the duration of the loan. The rate is basically adjusted in accordance with OCBC’s 15-month fixed deposit interest rate. The second rate package is a short-term fixed rate package where the interest rate remains fixed for the first two years, after which a floating rate will take effect. The current rate on the short-term fixed package is 2.38% p.a. The third and fourth rate packages – the SIBOR-dependent and Variable rate package – also have similar rates to offer. SIBOR-dependent rates are 3-month SIBOR+0.50% or 1-month SIBOR+0.55% (customers can choose either of the two). The variable interest rate stands at 1.25% p.a. for the first 2 years. UOB provides you with financing of up to 80% of the value of the property or HDB flat you wish to purchase. You can also get a bridging loan for a down payment if you’re expecting payments from a flat/home you intend to sell. UOB’s Private Home Loan comes with three kinds of interest rate packages – fixed-rate, floating-rate, or a combination. Under the fixed-rate package, the rate remains fixed for the first two years. Currently UOB has a promotional interest rate running. The fixed-rate package starts from 1.58% for the first couple of years, following which you the rate will be FDP+1.43%. FDP is the internal benchmark that UOB uses, based on its fixed deposit interest rates. The current FDP rate is 0.25% p.a. Citibank offers you a rate of SIBOR+0.7% p.a. on your home loan, again, a low rate of interest in comparison to most banks in Singapore. You can choose from a 1-month, 3-month, 6-month and 12-month SIBOR-adjusted interest rate when you pick Citibank for your mortgage loan. Note that if you wish to apply for a mortgage loan from Citibank, the minimum requested loan amount should be S$750,000 (i.e. if you apply for the loan online). ● 1.52% p.a. for the first two years. Same as floating rate package. ● 1.68% for the first three years. ● Under the promotional offer, first two years will be FHR9+1.07% p.a. ● 1.58% p.a. for the first two years. SIBOR+0.7% p.a. (you can choose from 1-month, 3-month, 6-month and 12-month SIBOR). Before you commit to any housing loan, remember to first compare to see which bank offers you the best rates! Disclaimer: This post was written in collaboration with BankBazaar.sg. Does losing money make you a bad investor? How much can you earn as a Uber driver? Is Cord Blood Banking Necessary? Save Money by Getting These Baby Must-Haves from Taobao! Is Home Insurance Really Necessary? IPO Analysis: Is the Nikko AM SGD Investment Grade Corporate Bond ETF worth subscribing?